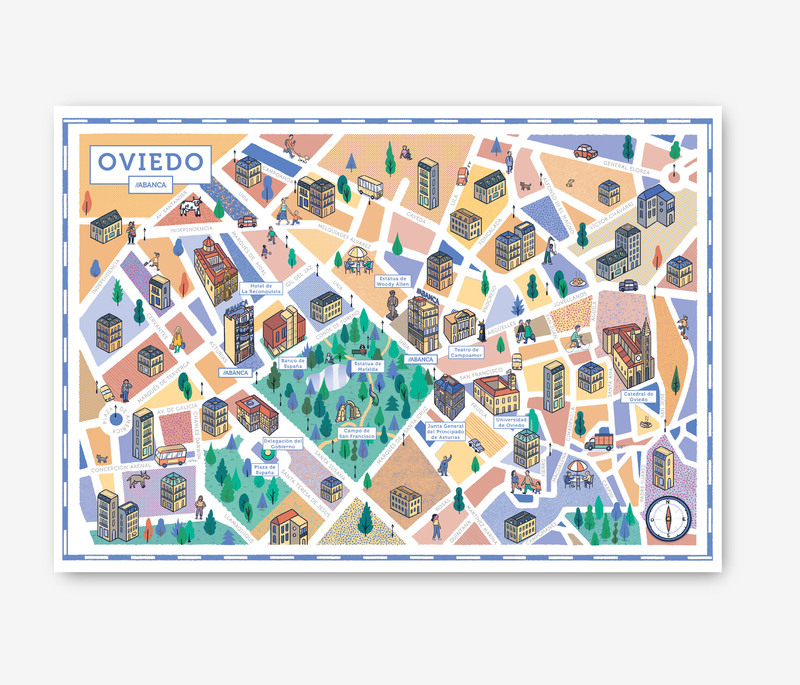 The Walk With Me studio was commissioned by the Spanish bank Abanca to create a map of Oviedo, a city from Spain. 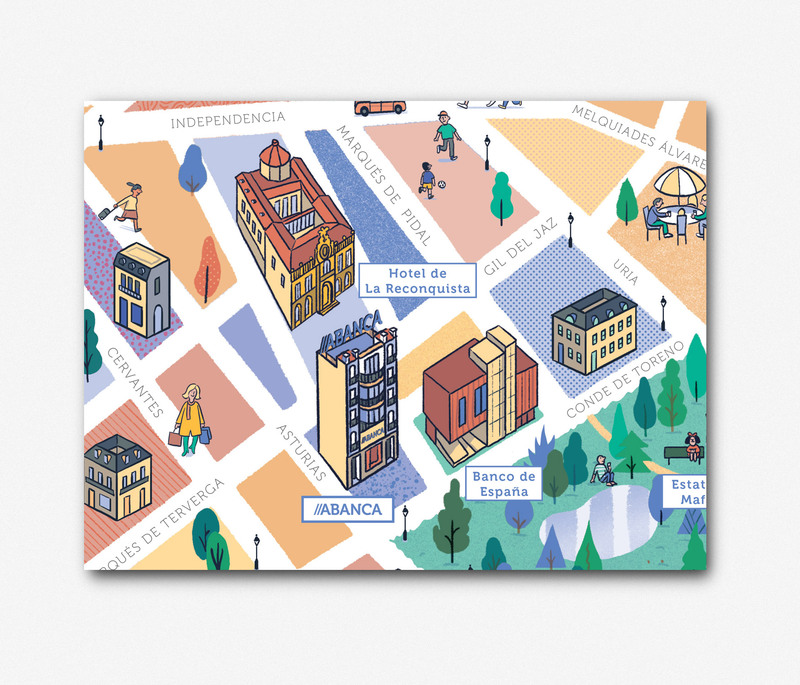 The map was printed and give it as a present to VIP customers from the city. 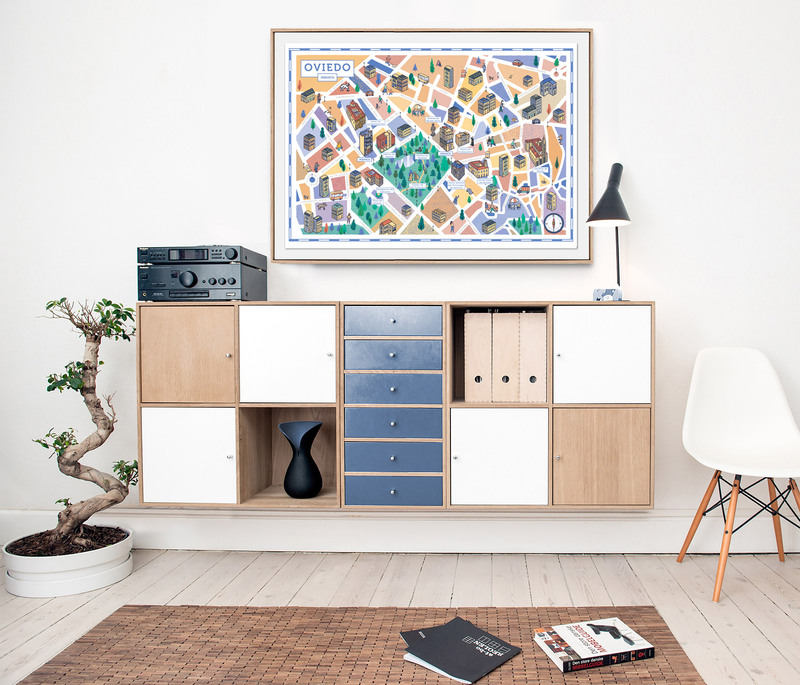 Andrés Lozano illustrated the project.